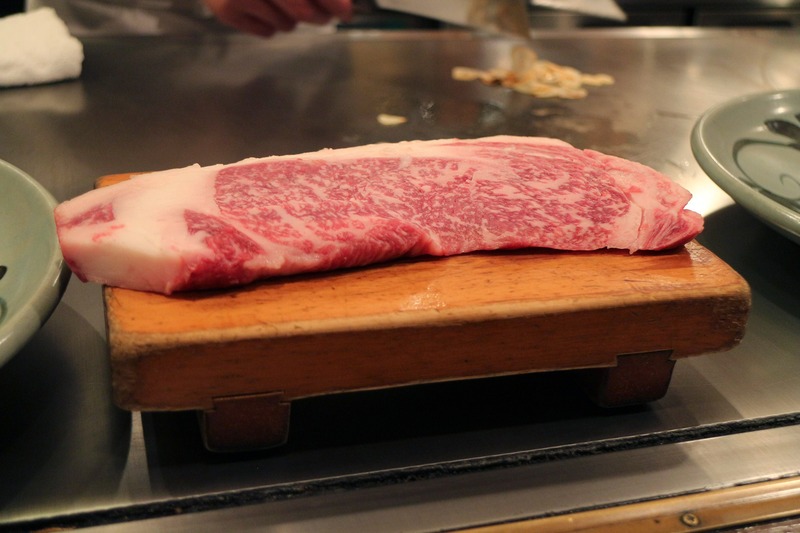 Home Japan Mini stories 3: Kobe beef in Kobe. Is it worth it? 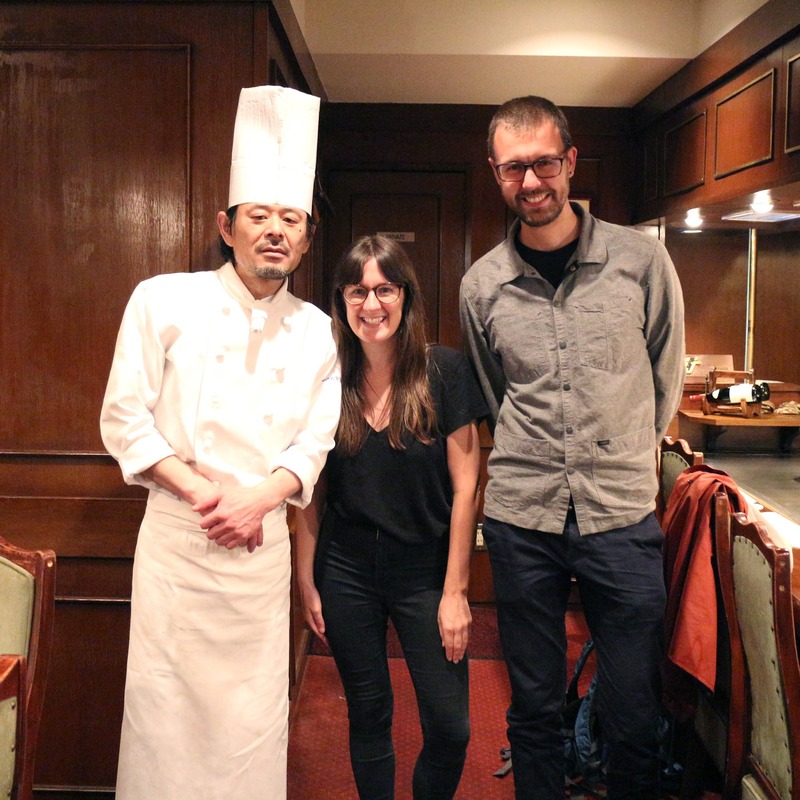 Mini stories 3: Kobe beef in Kobe. Is it worth it? 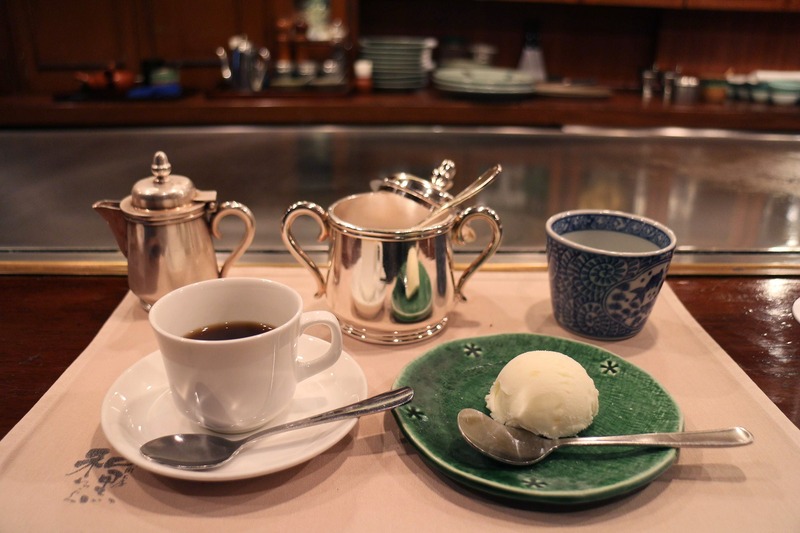 I am by no means a foodie, but sometimes I just can’t resist writing about a nice culinary experience from my travels. Especially when it involves a good piece of meat. I’ve heard the epic tales of Kobe beef during my last visit to Japan in 2013, but as I was very much on a budget then, I decided to skip it. 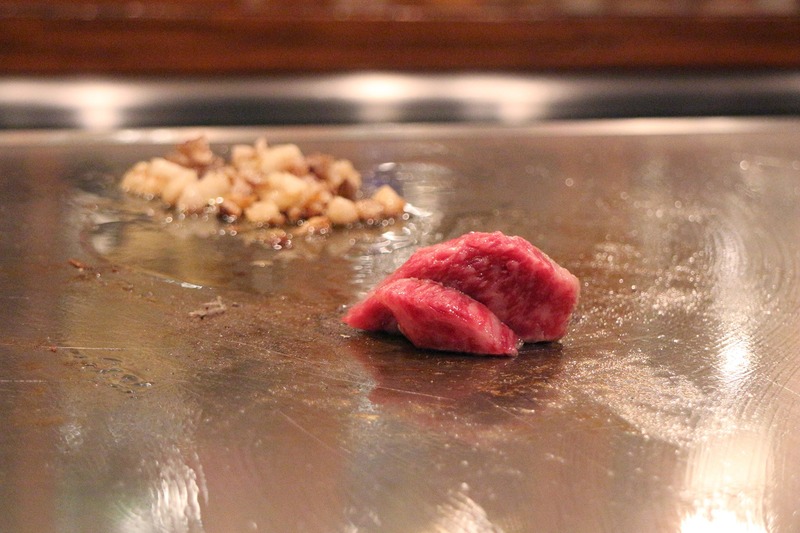 Four years later, I caved into the hype and got myself some Kobe beef… in actual Kobe. The combination of the meticulousness of the Japanese kitchen and the Japanese chefs’ urge for perfection meant that I was in for a treat. 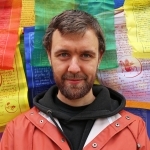 Here’s a photo diary of my experience and my verdict. 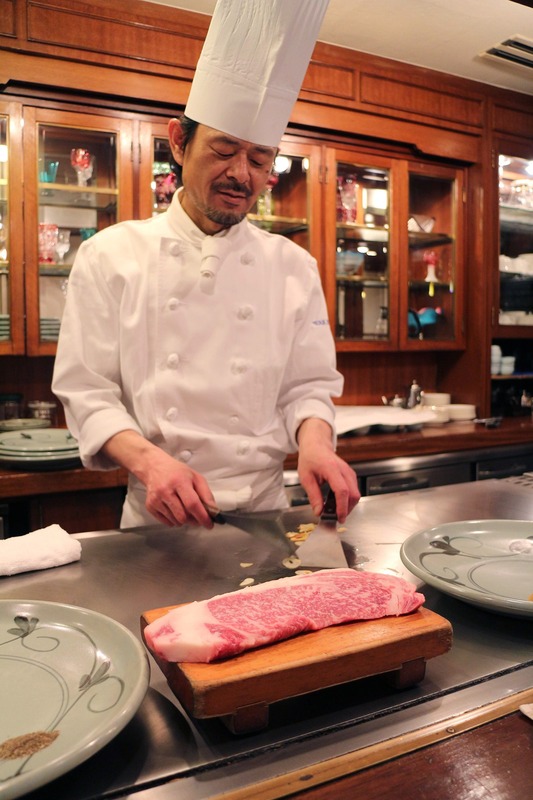 There are loads of myths and folktales around Kobe beef and the Japanese cows that produce them: they would enjoy regular massages, would listen to music and would drink beer, all in favour of the tenderness and fattiness of the beef. Whether it’s pure hearsay or a small part of the Wagyu beef farmers actually produced their beef using these techniques, it is not the norm. A good thing to keep in mind when it comes to Kobe beef: every Kobe steak is Wagyu, but not all Wagyu beef is Kobe. It was a rainy day when girlfriend Claire and I arrived in Kobe, looking for the place to have the most expensive lunch I ever had. We took a bullet train from Osaka to Kobe, which was only a short 1-hour journey but gave us just enough time to scan through our Lonely Planet for the recommended places to eat this delicacy. It really is crazy how much this tasty meat costs; we couldn’t really find anything under 80 euro for 180 grams of sirloin. 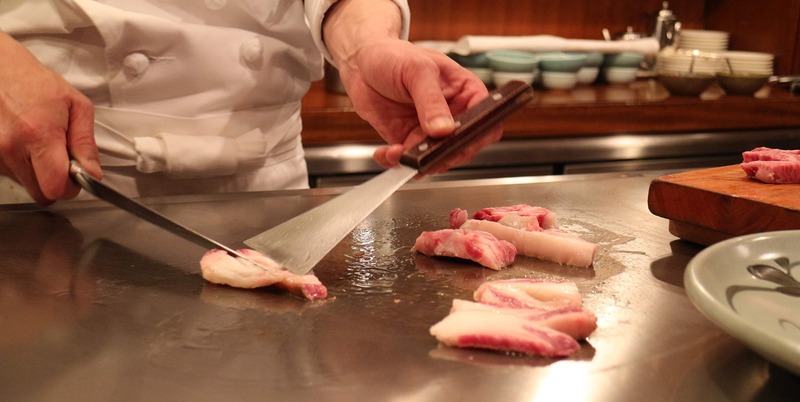 Aside from the exclusive meat, you also pay for the experience, as the chef usually puts up a good show. We couldn't leave without a picture with the man himself. The first restaurant we tried was Steak Aoyama, which came highly recommended (an average of 5 stars on 290 Tripadvisor reviews does say a lot). Unfortunately, even at lunchtime on a drizzly weekday, they were full and had to turn us away. We walked a few blocks to the restaurant of our second choice, Wakkoqu. With hardly anyone there we got served straight away. We chose the Wakkoqu lunch menu, which came with the soup of the day, a 150 gram Kobe beef sirloin, salad, rice and pickles, a dessert and coffee. 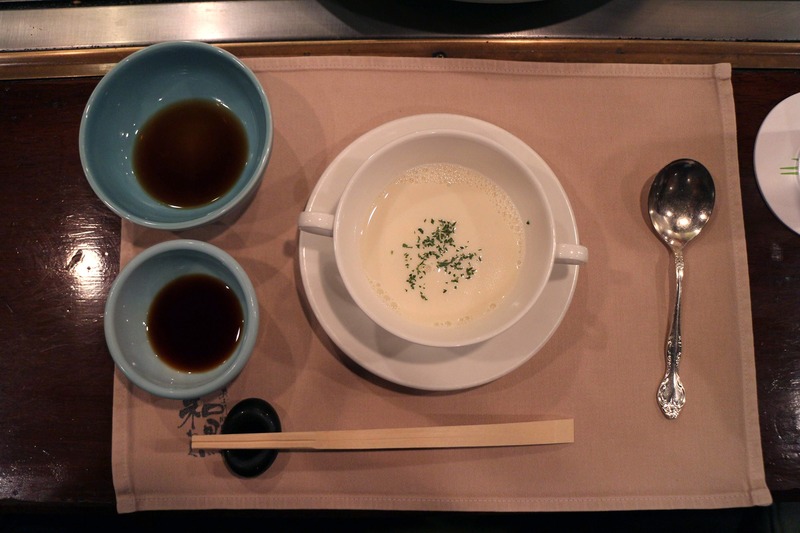 And so it began… Our first course was a tasty light soup (asparagus soup? Or was it potato?) which we ate while our chef sliced and started frying some garlic on the hot plate in front of us. 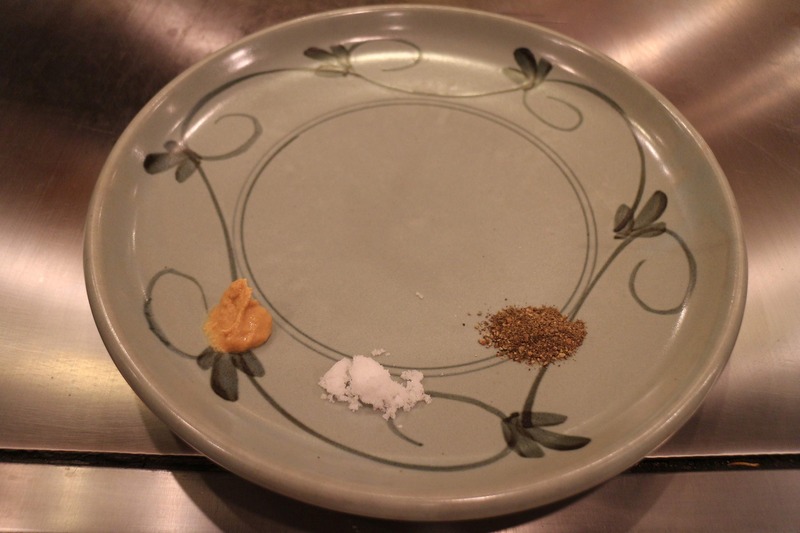 When we were finished, a plate was put in front of us with 3 little heaps: mustard, salt, and pepper. 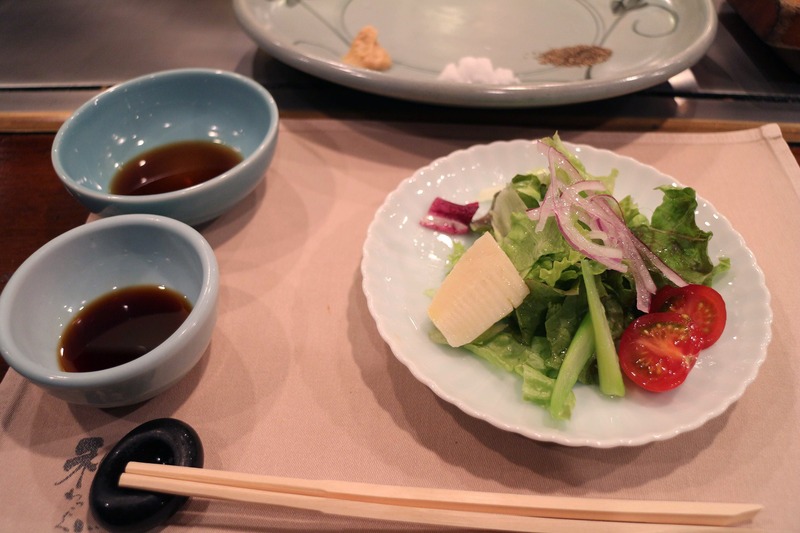 In perfectly Japanese style, the sirloin of beef was presented on a little wooden stand. Just looking at the slab of meat now makes my mouth water. We watched the skilled chef slice and dice the piece of meat in different cuts, which each were paired with the different condiments. The chef calmly yet passionately explained to us where to dip each part for maximum flavour and did so with an honest and unpretentious air. It really was fun watching the chef do his thing and being able to taste the result. The side salad, ice cream and coffee were nice as well. Was it the best piece of meat I have ever eaten? I can honestly say that the Kobe beef steak I had in Japan clearly deserves to be in my “top meats” list. It’s one of the most tender and flavorful meats you will probably ever try, which almost literally melts in your mouth. The whole serving experience adds another dimension to this. However, it wasn’t as far off the chart as I initially expected it was going to be. The ostrich steak and some other pieces of meat that I had eaten in South Africa come close when it comes to tenderness and flavour. Also, they were about one-sixth of the price. Perhaps that’s what you will always get with things that are hyped. Nevertheless, I am happy that I decided to get over my Dutch tightness and spend some money on an experience that I won’t forget anywhere soon.